Sui Generis--a New York law blog: ABA Further Examines Lawyer Ethics, Technology. Should social media passwords be a job requirement? ABA Further Examines Lawyer Ethics, Technology. 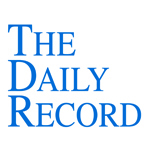 This week's Daily Record column is entitled "ABA Further Examines Lawyer Ethics, Technology." In a column that I wrote last September, I explained that American Bar Association’s Commission on Ethics 20/20 was eliciting comments on the issue of how lawyers’ use of Internet-based client development tools, such as social media, should be regulated. In my prior column on this issue, I took issue with a few aspects of the letter calling for comment and submitted comments to the Commission outlining my concerns in this regard. One of my concerns was the Commission’s suggestion that “given that such activities often have both a personal and advertising purpose,” online interactions by lawyers might require more regulation than offline interaction by lawyers. I explained that whenever attorneys interact, whether online or offline, the possibility exists that the interaction will have both a personal and marketing purpose. Thus, the rules as they existed were sufficient to govern such conduct. This was because online interaction is simply an extension of offline interaction. It did not, by virtue of its unique format, merit a separate category requiring additional, more stringent oversight. 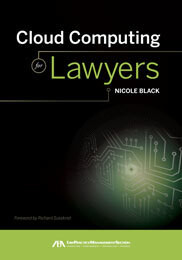 Last month the Commission released its initial draft proposals on the issue of lawyers’ use of technology and client development (which are available for further comment through August, 2011) (online at http://www.americanbar.org/groups/professional_responsibility/aba_commission_on_ethics_20_20.html). As for the specific suggestions, the Commission’s proposed amendments to Model Rule 1.18 attempt to clarify when electronic communications may result in a prospective client-lawyer relationship and also suggest a number of steps that lawyers should take to prevent the inadvertent creation of an attorney-client relationship. The proposed amendments to Model Rule 7.2 attempt to provide guidance to lawyers using online tools and referral services to market their practice. The Commission added new language to Comment  of the rule to better define the term “recommending” and thus make it clear that online forms of lead generation such as “pay-per-click” or “pay-per-lead” are permissible as long doing so is consistent with an attorney’s professional obligations. Comment  was also amended to clarify that the division of legal fees with “pay-per-clikc” or “pay-per-lead” lawyer referral services is permissible. Finally, the Commission proposed that Rule 7.3 be amended to include a new comment that would offer a clearer definition of solicitation. Specifically, the new comment would clarify that communications constitute a solicitation if the lawyer “offers to provide, or can be reasonably understood to be offering to provide, legal services to a specific potential client.” Another proposed amendment to Comment  explains that lawyers are not “soliciting” when responding to requests for information, whether in person or online. All in all, I’m pleased with the way that the Commission approached these issues. Importantly, the Commission acknowledged that online interactions by attorneys do not warrant separate rules. Rather, the existing rules are sufficient, and need only slight modification to provide guidance to attorneys seeking to use online tools for marketing purposes. Their implicit conclusion that attorneys’ online interactions are an extension of offline activities is a noteworthy step in the right direction, since the ABA’s ethical rules and decisions, while not binding, set the tone and provide guidance to other jurisdictions facing these issues. A good take away from the announcement of the proposed amendments is that if your intended course of action online reminds you of conduct that would otherwise be unethical offline, it probably is. So, if you’re unsure whether your intended course of action is ethical, don’t do it.